Creating beautiful smiles, even in challenging situations. Dr. James was born in Malta, a small island nation in Europe. He graduated from dental school with distinction and earned the degree of Bachelor of Dental Surgery. After working as a dentist for two years in one of the nation’s leading practices, Dr. James was selected for matriculation at the University of the Pacific, Arthur A. Dugoni School of Dentistry in San Francisco. While there he became active in volunteer organizations and took on leadership roles including that of class president. Dr. James graduated as Valedictorian of his class and received his Doctor of Dental Surgery Degree in addition to numerous honors and awards for his scholastic achievements. He was inducted into the honor societies of Phi Kappa Phi, Omicron Kappa Upsilon and Tau Kappa Omega. Following dental school, Dr. James was selected as a resident in the Graduate Orthodontics Program at University of the Pacific. He graduated as an Orthodontic Specialist with a Master of Science Degree. Soon after graduation, Dr. James moved to Kansas City and joined Fry Orthodontic Specialists, one of the leading orthodontic practices in the United States. Here, he gained extensive experience in treating all types of malocclusions. 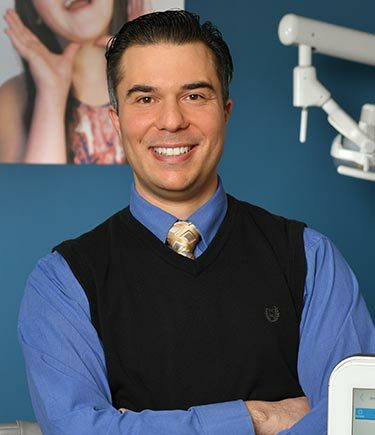 Currently, Dr. James is a member of the American Dental Association, the American Association of Orthodontists, and is a certified Invisalign provider. In his free time, Dr. James enjoys spending time with his wife, playing soccer, cycling, and reading. He also has an interest in computers, tropical fish, and classic cars. Dr. James and his wife, Marice, are excited to make St. Louis, Missouri their home and through Cardinal Orthodontics, a sister company of Fry Orthodontic Specialists, continue to provide excellent orthodontic care. Dr. James considers himself very fortunate to be an orthodontist because it allows him to meet new people and make a difference in their lives. Dr. James is excited to meet you and learn more about the St. Louis community. Schedule an appointment today!